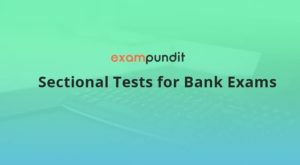 Hello and welcome exampundit. As promised yesterday, here is the Full Reasoning Sectional Test for IBPS Clerk Prelims 2017. Tomorrow we will be sharing quantitative aptitude sectional test. The test consists 35 questions with quality puzzles. The time is 20 minutes which will test your speed. Sorry the quiz is not available anymore! Don’t forget to give IBPS Clerk Prelims – English Sectional Test – 30 Questions – 10 Minutes. For IBPS Clerk Prelims, we recommend you to give mock tests.